All-Home Inspections prides itself on our quality home inspections. We are available to work around your schedule and provide a flexible time frame 7 days a week to allow you to be present for the home inspection. We are also available for any post-inspection consulting for as long as you own your home. 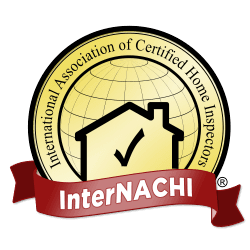 In addition to a professional and comprehensive home inspection, All-Home Inspections is certified to conduct Radon, Indoor Air Quality and Mold testing. Radon testing is done via a Sun Nuclear continuous Radon monitor. Testing takes a minimum of 48 hours and results are downloaded through the computer the day testing is completed. Results are available without having to wait for charcoal canisters to be sent to a lab for analyzing and then having the results faxed or mailed back. This is important when time is a factor in the home buying process. Air quality and mold testing are done via a combination of air sampling, swabs, and carpet vacuuming. All samples are sent overnight express to EMLab P&K for analysis, with test results being sent back through E-mail for immediate results. For homes in a rural or country location, All-Home Inspections provides water quality testing and pressure/flow testing for homes with private wells. Please ask for information on any of these services when you contact us for your next home inspection.